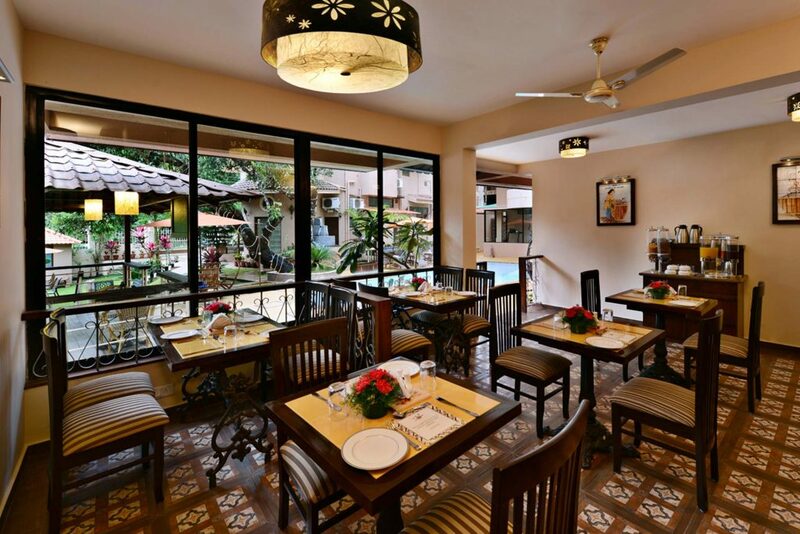 Aqua is our in-house multi-cuisine restaurant located at the upper deck to swimming pool – 2, at Hotel La Sunila. It has a seating capacity of 30 people and specializes in serving a variety of Indian ,continental ,Italian and Chinese food. Pindi chhole -Bhature is the must try dish served at Aqua. We serve vegetarian as well as non-vegetarian food as per the choice of our guests. We make sure that we serve tasty and quality food prepared with the best and fresh ingredients available. We hold a team of professional chefs who are experts in their field to serve you the best food in Goa. 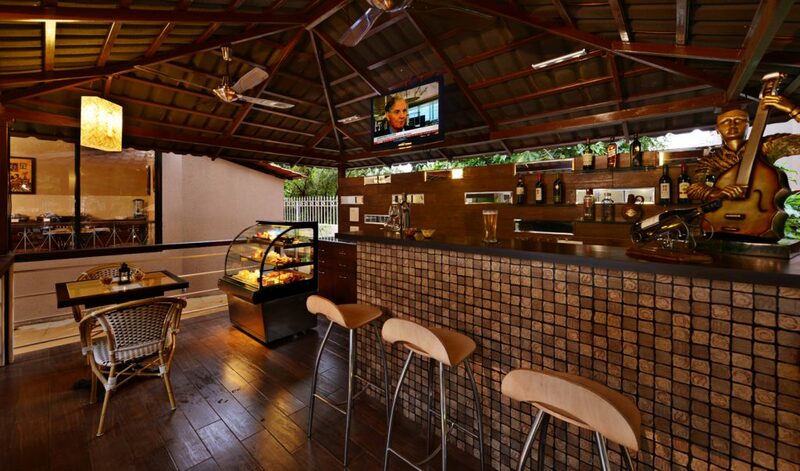 The Deck -Bar and Sam’s Taverna, our in-house bar that serves both alcoholic and non-alcoholic drinks. The Deck -Bar located at the upper deck to swimming pool -2 has a capacity of 16 pax, and one must try the “cocktail of the day”. Sam’s Taverna again a poolside bar has a capacity of 25 people. Relax and socialize while sipping some flavorful and fizzy drinks. Seating capacity 16 pax & 25 pax resp.